Religious reformer Martin Luther refused to recant during his trial for heresy on April 18, 1521, but what might you not know about him? 10. Luther received a Doctor of Theology degree from the University of Wittenberg in 1512. He had earlier earned 2 bachelor’s degrees. He received a bachelor’s degree in Biblical studies in 1508 and another bachelor’s degree in the Sentences by Peter Lombard in 1509. 9. Although Luther believed that “holy war” or religious wars were against God’s will, the same war fought for secular reasons were permissible, or even desirable! 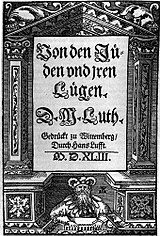 Meanwhile, Luther’s pamphlets against the Church and the hierarchy led many peasants to believe he would support an attack on the upper classes in general. 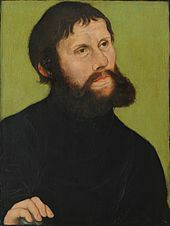 Although Luther sympathized with some of the peasants’ grievances, as he showed in his response to the Twelve Articles in May 1525, he nevertheless reminded the aggrieved to obey temporal authorities. 8. 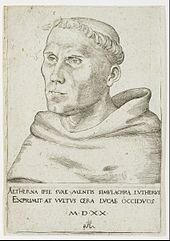 Luther believed that Islam was “the tool of the devil” and that the Papacy and the Catholic Church was the anti-Christ. 7. In 1523 Luther married a nun that he had helped escape by hiding her and 11 other nuns in herring barrels! Luther said, “The Lord has plunged me into marriage!” He failed to mention that the Lord gave the 41 year old Luther a 26 year old wife. 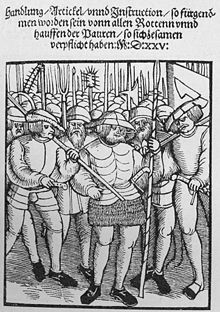 Yet, when his teachings led to peasants revolting against the nobility and the Catholic Church Luther recommended the rich should “smite, slay and stab” the rebels! 5. He was excommunicated and declared an “outlaw”! In the over 400 years since his excommunication, Luther has never been pardoned or reinstated by the Catholic Church. 4. A cornerstone of Luther’s beliefs was that it was wrong of the Catholic Church to sell “indulgences” which was basically paying the Church to avoid punishment for one’s sins. Hitting a religion’s source of income is a sure way to incur its wrath! 3. Luther was fiercely anti-Jewish, and recommended that Jewish homes and temples should be destroyed! His anti-Semitism may have contributed to the anti-Semitism experienced in Nazi Germany during the 1930’s and 1940’s that resulted in the Holocaust! 2. His translation of the Bible from Latin to German caused the German language to become standardized and influenced future translations of the Bible, especially into English. 1. Luther recommended farting at demons to keep them away! He claimed this technique worked for him! Bainton, Roland H. Here I Stand: A Life of Martin Luther. Forgotten Books, 2012. Luther, Martin. Works of Martin Luther – With Introductions and Notes (Volume I). FQ Books, 2010. Next Article April 19, 1956: Fairy Tales Do Come True! Grace Kelly Marries Prince Rainier!